Chicago’s OSU bar just a few steps away from Oregon bar: Which is better? The OSU bar across the street from the Oregon bar in Chicago. Not the only ones in town but will be a very interesting block for the “Ducks V Bucks” College Football Championship Game tonight! Ohio State and Oregon match up in the College Football National Championship game Monday night. It’s hard to decide out who to root for — WGN’s Nancy Loo went to Oregon while WGN Morning News meteorologist Demetrius Ivory went to Ohio State. Well, it turns out here in Chicago that each team’s official bars are just a few feet away from each other. Marcus Leshock went to ask the people there for some help with making a prediction. Free Promotion Event Idea: Bad Santa. Everyone bar does an “ugly sweater contest,” it’s getting kind of lame. 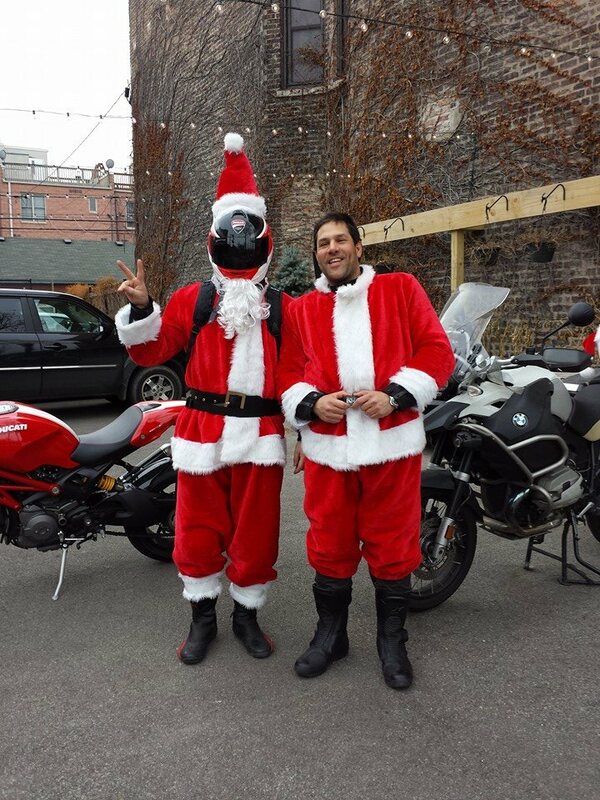 But one of my favorite Chicago bars “Three Aces” recently came up with a fresh idea – a “Bad Santa” contest! I would suggest “Bad Santa and Sleazy Elf” to add more costume ideas and get women more involved. Go! A-List Marketing has been helping bars create and execute unique promotions that draw crowds for more than 15 years in over 40 venues of all types. Thousands of successful promotional events and continuing to innovate – reach out to us for more ideas! Why Someone Needs to Put a GoPro Camera on a Shot Ski. Because… GoPro and Shot Ski just belong together! We have fun with “shot skis” at many of my clients’ locations. It’s a new twist on shots and makes celebrating even more of a group activity. Someone needs to put a GoPro camera on a shot ski to get some great video “shots” – I might have to be the one to do that over the big TG holiday weekend! 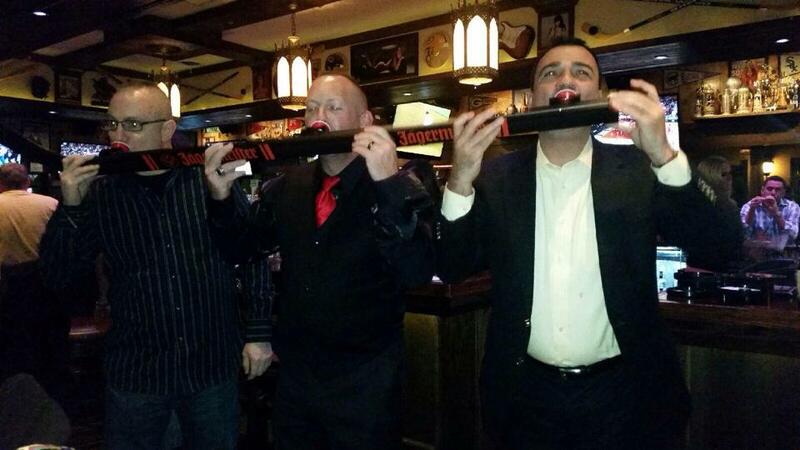 The League of Distinguished Shot Ski Gentlemen at one of my client bars, The Snuggery Schaumburg, Illinois. 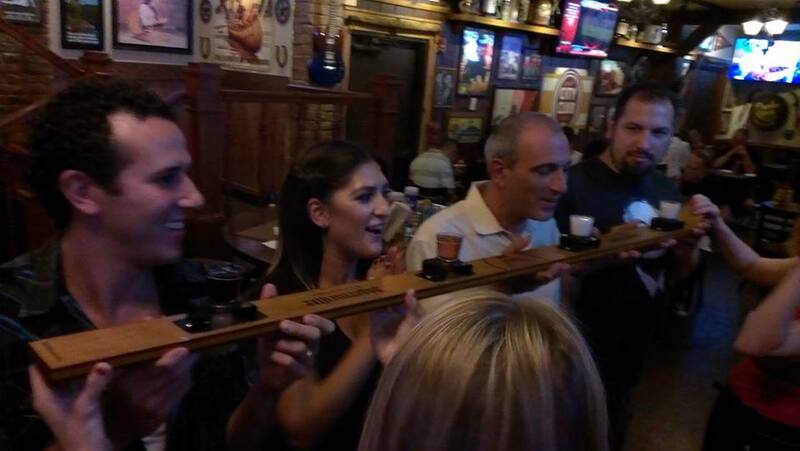 Rockin’ the Shot Ski at Whiskey River, Mt. Prospect Illinois. One of my newest client bars that opened Fall 2014. When you’re in the Chicago area, check out Whiskey River, The Snuggery, and my other Ala Carte Entertainment client bars and restaurants for fun, food and festivities! Someone please do this in a club or bar – it would work! I’ll help! Could be a package that would move from venue to venue, or a permanent theme element of a bar or club. It’s the Live Human Version of a video game. There’s something like this in New York City, but it’s not in a bar or club. 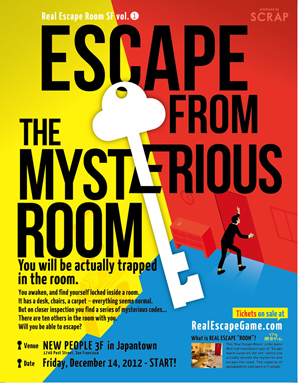 Has also been used from time to time in corporate team building.